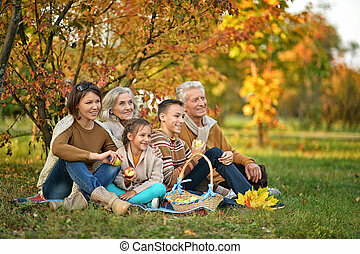 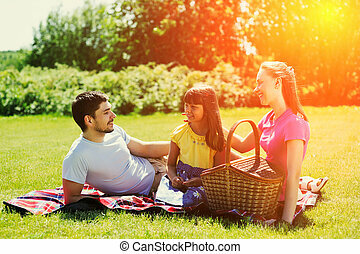 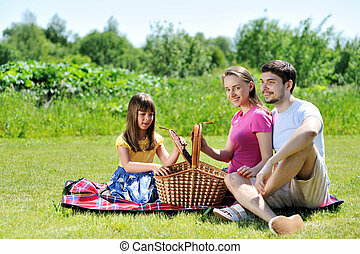 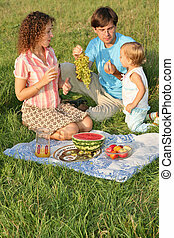 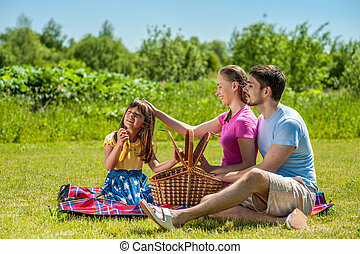 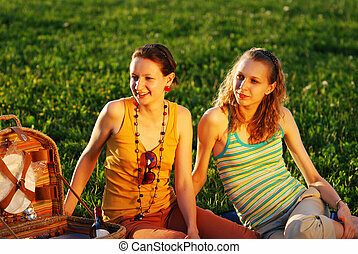 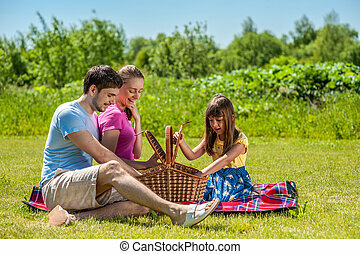 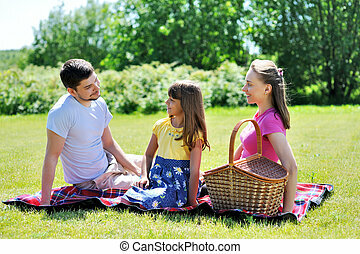 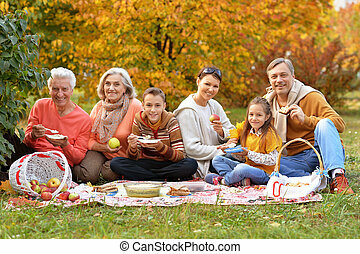 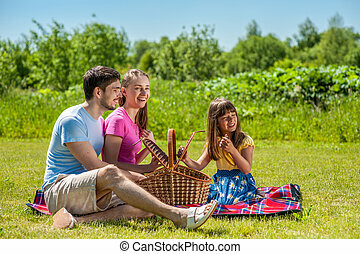 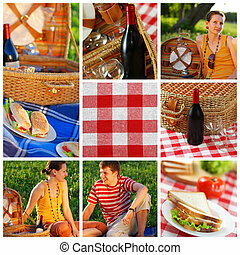 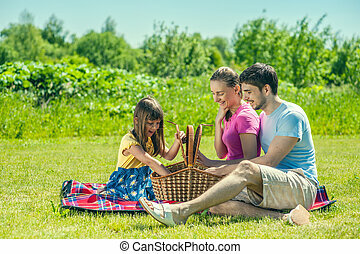 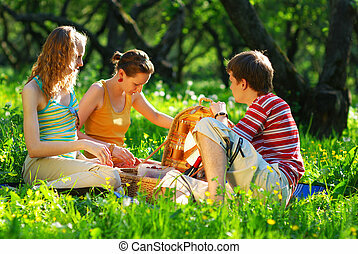 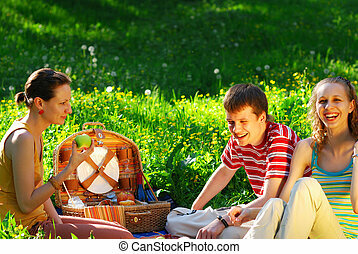 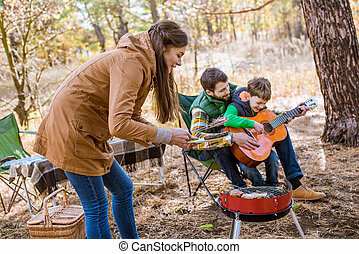 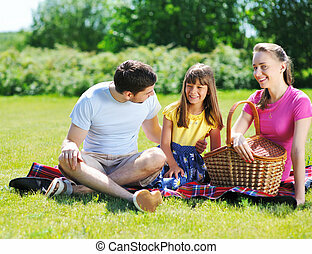 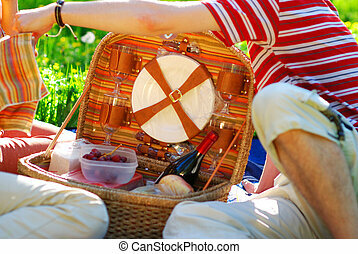 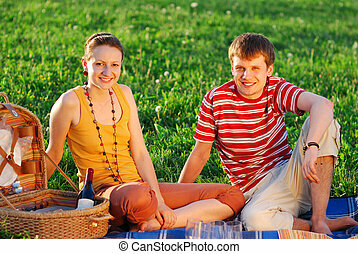 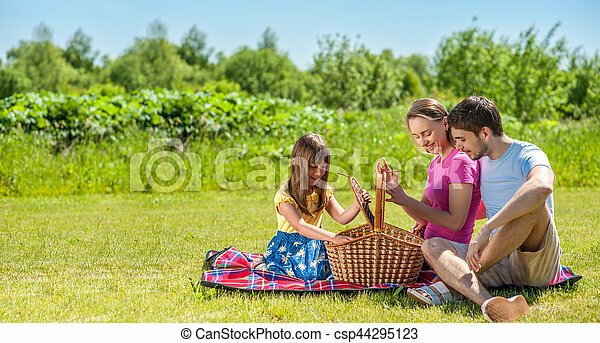 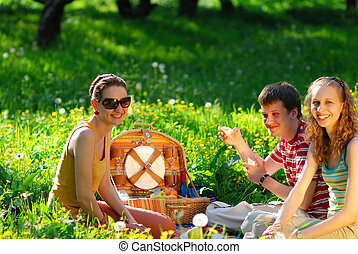 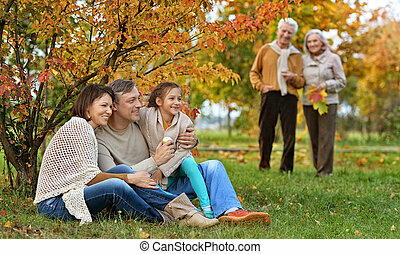 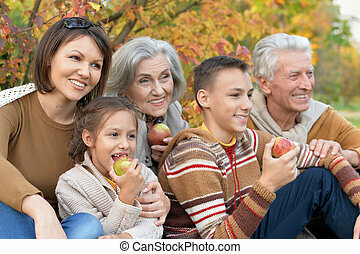 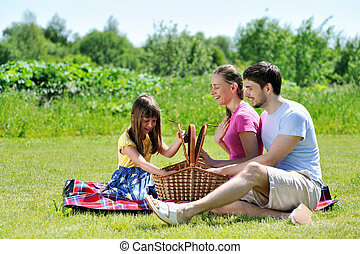 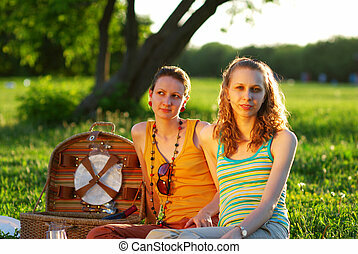 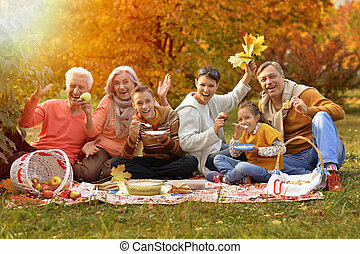 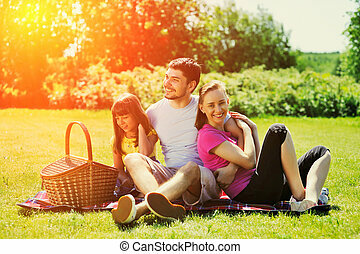 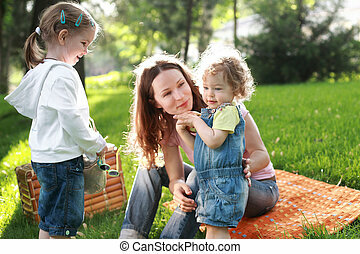 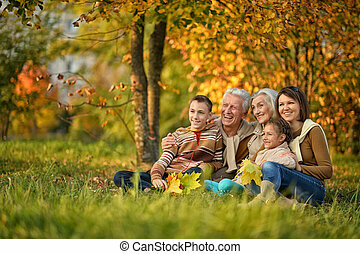 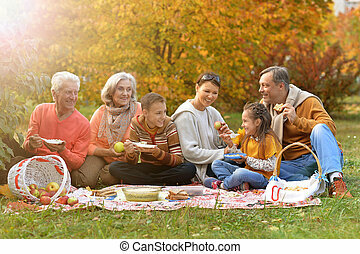 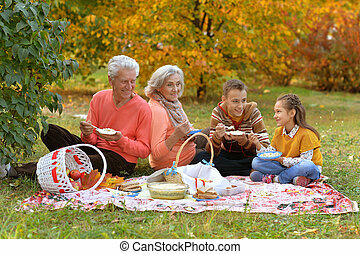 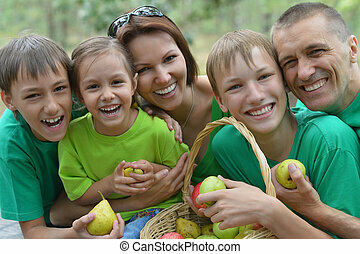 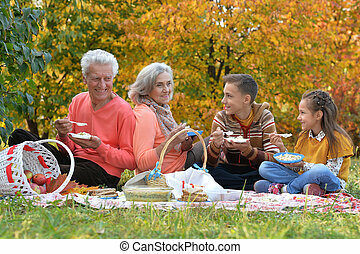 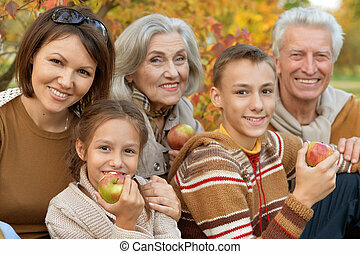 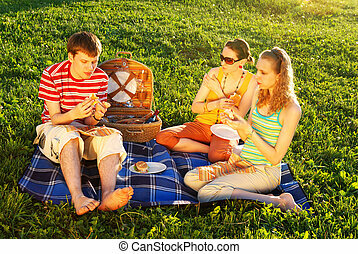 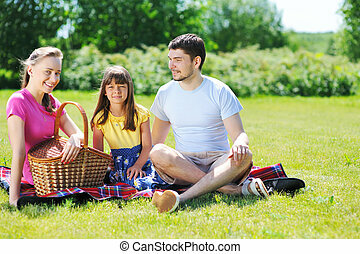 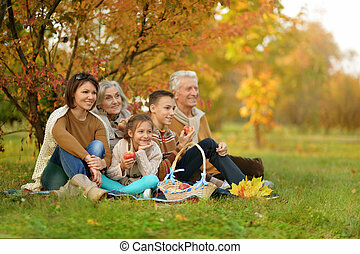 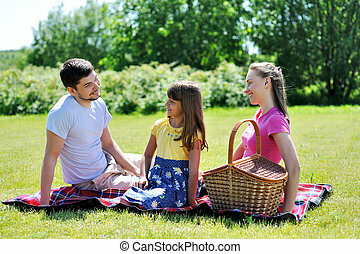 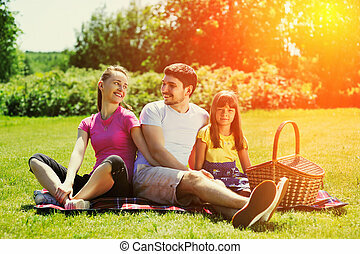 Family on picnic at sunny day. 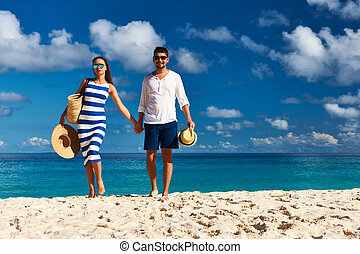 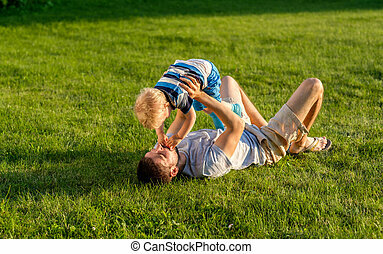 Happy man and child having fun outdoor on meadow. 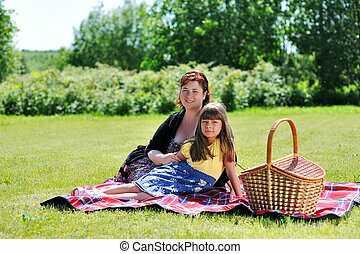 Family lifestyle scene of father and son resting together on green grass in the park.